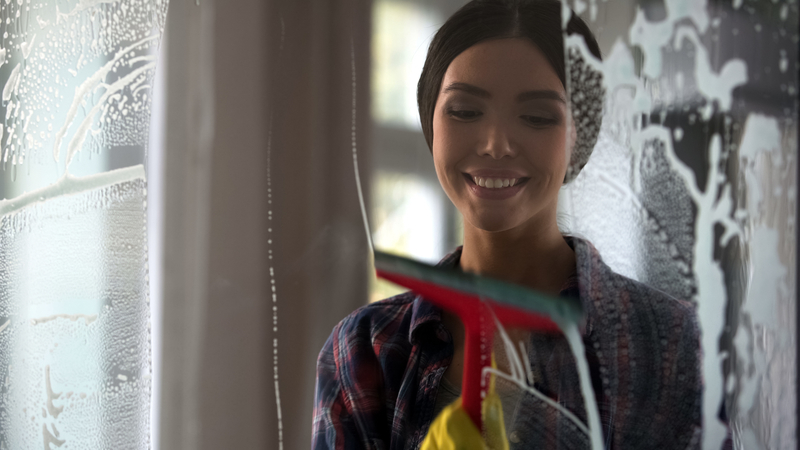 Our professional window cleaners have a great wealth of experience when it comes to cleaning all types of commercial windows, and the same method applies for domestic windows too. The key is to invest in good equipment, which will make the job quick, easy – and maybe even a bit of a joy! Once your bucket is full of warm (but not boiling) water, add your detergent to the water or directly onto the material cover or mop you will be using. Use this to thoroughly wet the windows and scrub them to lift the dirt. If there are any tough spots that you can see are not moving when you scrub the area, this is the time you need to remove these with your scraper. Be careful when using your scraper, since if used incorrectly, it can cause permanent damage to your windows. 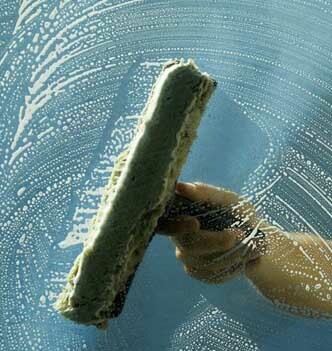 To correctly use the scraper, only scrape forwards – never backwards, as this can cause dirt or other marks to drag across the glass and scratch it. The key to using the squeegee the most effectively and efficiently is all about technique. Press firmly, but not too hard otherwise you will not be able to move the squeegee around smoothly and it will catch and jump spots. Start at the top left corner and snake your way down the window, making sure you go right up to the edges. Ensure you wipe the bottom window frame once you reach the bottom since a lot of the dirt and water will make this area pretty dirty. You can wipe this off quickly with a towel. Finally, wipe the edges with your microfibre cloth and use your cloth to wipe away any remaining marks or debris. If there are still some stubborn marks, you can simply rinse and repeat the above steps. We hope you found this guide helpful, and for more cleaning tips and tricks from our experts, come back again soon. If you have any further questions, please contact us on 01604 926004 or e-mail us at info@lawrencecleaningservices.co.uk and we will get back to you ASAP.